Frida Kahlo contracted Polio as a child, and this left her with one leg thinner than the other, so much so that she was quite self-conscious about it. This also played a part in her wardrobe choices into adulthood. Frida might have hobnobbed with the high-society of New York and San Francisco and even, later, Paris, but she never adopted the ‘flapper’ style dresses that were popular at the time, choosing to stick with the long skirts and maxi dresses of the matriarchal Tehuantepec society of her Mexican heritage. I find my children concentrate better when their hands are busy, so we were able to chat about Frida Kahlo, patriotism, disease, and the obstacles that come up in people’s lives while we folded tissue paper into carnations for Frida Kahlo inspired headbands. 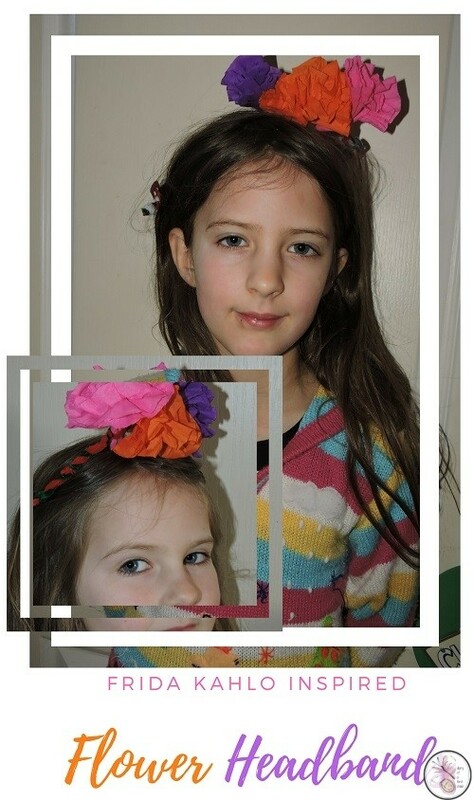 To make the headbands, you require a rectangle of tissue paper per flower, some sellotape to hold it together and – I had hoped to use elasticated headbands, but I couldn’t find any locally – pipe cleaners with hairclips. 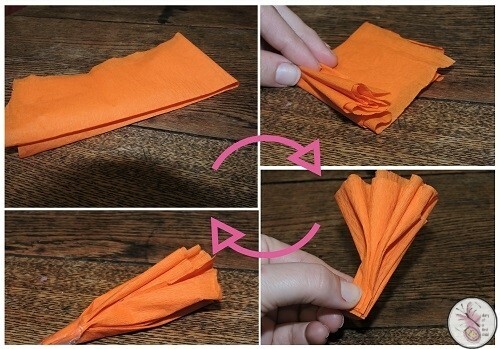 Pull apart the top part of the zigzagged tissue carefully (tissue paper tears easily) to create a fan, then gently separate the layers, pulling them as far out as they’ll go, creating your paper flower. For the ‘headband’ we twisted together two pipecleaners, making a loop at the end of each (the ends can be quite sharp, so bending it inwards should help protect little skulls from being stabbed!) Once it’s all twisted together, create a gap between the twists, and place your flower in it, then twist it back together again. 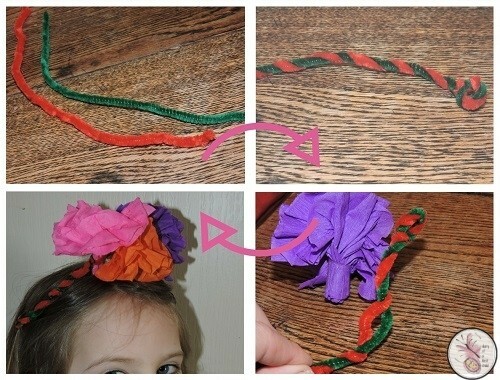 Put a hairclip or pin through each end – through the loops – and use those to clip the ‘hairband’ into the hair.